I've had this scarf in my finished projects pile for almost a month, but just got around to weaving in the ends and blocking it. 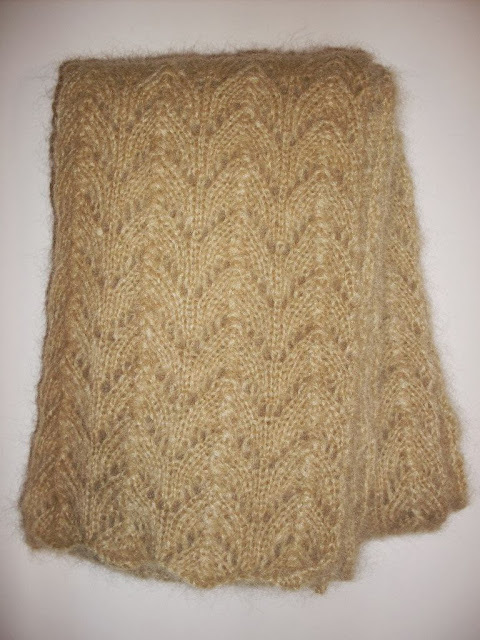 I knit it up with the leftover mohair yarn from the sweater with smocked front. Hi Ruby, this pattern is from the knitpicks.com website.